The Canon EOS 400D / Rebel XTi is equipped with a brand new 10.1 Megapixel CMOS sensor designed by Canon especially for this camera. This came as a surprise for many people who expected the 400D / XTi to employ the same sensor as its predecessor, just as the EOS 30D had before it. That said it was a necessary move to compete with the Sony A100 and Nikon D80 in marketing terms anyway. Interestingly it makes the 400D / XTi the highest resolution Canon EF-S body to date. The new sensor measures 22.2 x 14.8mm and conforms to Canon’s APS-C specification, thereby effectively cropping the field of view of all lenses by 1.6 times – so the optionally bundled 18-55mm zoom performs like a 29-88mm lens on a 35mm body. Again like its predecessor, the 400D / XTi is compatible with all EF and EF-S lenses, each effectively having their focal length multiplied by 1.6 times. See our first Features page for further lens and coverage information. The 400D / XTi offers sensitivities from 100 to 1600 ISO in 1EV steps. There are always concerns over greater noise levels when the resolution of a sensor is increased with its dimensions remaining the same. With the earlier 350D / XT though, Canon redesigned the sensor so its actual photo-sensitive areas were bigger than its predecessor, while still squeezing in an additional two megapixels. Now with the 400D / XTi, Canon claims to have approximately halved the space between the on-chip micro lenses to improve light convergence, and deliver even more light gathering power. Check our noise results pages to see how this holds up in practice. The 400D / XTi’s sensor captures images with a maximum resolution of 3888 x 2592 pixels which allows you to make 300dpi prints up to around 13 x 8.5in. With around 400 more pixels horizontally and 300 vertically than its predecessor (and the 30D), the 400D / XTi can make 300dpi prints measuring about 1.5in bigger on the diagonal. Again, check our resolution and outdoor results pages to see this difference in practice. Images can be recorded at three different resolutions, each with the choice of two JPEG compression levels; best quality JPEGs typically measure between 2.5 and 5.5MB each. Full resolution images can alternatively be recorded in Canon’s CR2 RAW format, with or without a best quality JPEG if desired. 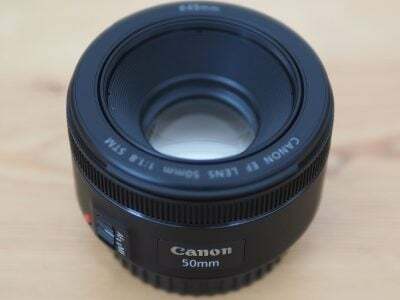 At the time of writing, the 400D / XTi’s RAW files were not recognised by Adobe Camera RAW, but Canon supplies a copy of its Digital Photo Professional software for processing them. 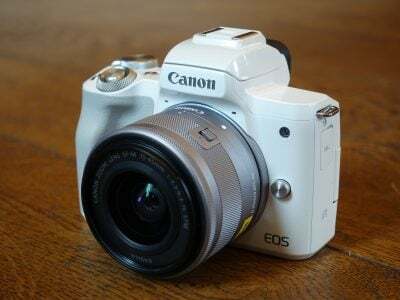 As expected, the 400D / XTi has adopted Canon’s Picture Styles for image processing, and the options available are identical to both the EOS 30D and 5D. The five main and three user-defined Picture Styles offer adjustment of sharpness (from 0 to 7), contrast (+/-4), saturation (+/-4) and colour tone (+/-4). An additional monochrome Picture Style switches the options to sharpness, contrast, filter effect and toning effect. The filter effects consist of none, yellow, orange, red or green, while toning offers none, sepia, blue, purple or green. We used the default Standard Picture Style for our day-to-day, Results and Gallery shots. This is set to a sharpness level of three and a zero / middle value for contrast, saturation and colour tone. Despite its neutral-sounding characteristics, the Standard Picture Style delivered good-looking, punchy JPEGs which were ready to use without any post-processing. Resolution aside, they unsurprisingly appear very similar to the Standard JPEGs out of the 30D and 5D. The 400D / XTi supports both sRGB and Adobe RGB colour spaces. There’s eight White Balance options: Auto, Daylight, Shade, Cloudy, Tungsten, White Fluorescent, Flash and Custom; as with previous Canon DSLRs, the Tungsten preset didn’t always fully correct for the common orange cast on typical indoor shots, instead sometimes requiring a custom measurement of a handy white or neutral grey object. The 400D / XTi employs exactly the same DIGIC II image processor as every other model in Canon’s current digital SLR range. In use the new camera feels very responsive, but there are some differences between it and its predecessor. As the 400D / XTi powers-up, it automatically activates its sensor cleaning process, which takes just over a second to complete – see next page. Unlike the Olympus SSWF though, this process can be over-ridden at any time by simply half or fully pressing the shutter release button. 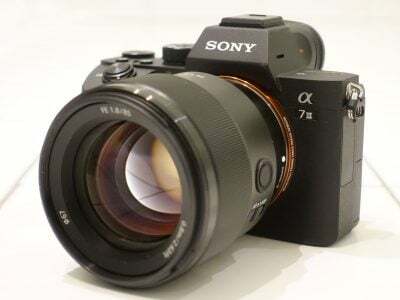 This is a much more sensible approach, allowing the 400D / XTi to auto-clean but be ready for action if necessary in the same almost instant 0.2 seconds as its predecessor. If you’re used to using the 350D / XT, you’ll notice the new 400D / XTi takes a fraction longer before showing the image preview. It’s by no means slow, but there’s a greater perceptible pause than before which Canon attributes to the higher recording resolution and application of Picture Styles, along with improved noise reduction, folder and file numbering. Despite these greater processing overheads, the Continuous shooting capabilities have been improved. The rate remains 3fps, but Canon claims the maximum frame burst has almost doubled from 14 to 27 frames. To put this to the test we compared the 400D / XTi with its predecessor, shooting the same landscape composition using the same SanDisk Ultra II 1GB Compact Flash just moments apart. Set to Large Fine JPEG mode, the 400D / XTi performed as quoted, firing-off 27 frames in just over nine seconds; the buffer cleared three seconds later to grab further, albeit smaller bursts of four or five frames. The total frame count was certainly higher than the 350D / XT, although we captured 18 frames in just over six seconds before it paused. Switching to RAW mode, the 400D / XTi captured 11 images in 4.2 seconds compared to six on the 350D / XT in 2.1 seconds. Finally selecting RAW plus Large Fine JPEG mode saw the 400D / XTi capture eight images in 3.1 seconds while the 350D / XT recorded five in 1.8 seconds. The average frame rate of both cameras in all modes was a fraction under 3fps, and the 400D / XTi’s buffer in our tests worked out around 50% larger than the 350D / XT. This is of course highly dependant on the scene you’re shooting, but it’s good to see the 400D / XTi improve on its predecessor even with a higher resolution and greater processing overheads.